Over past several months we have made announcements with different partners in the simulation ecosystem about the overall performance of various solver technologies on Microsoft Azure Big Compute. 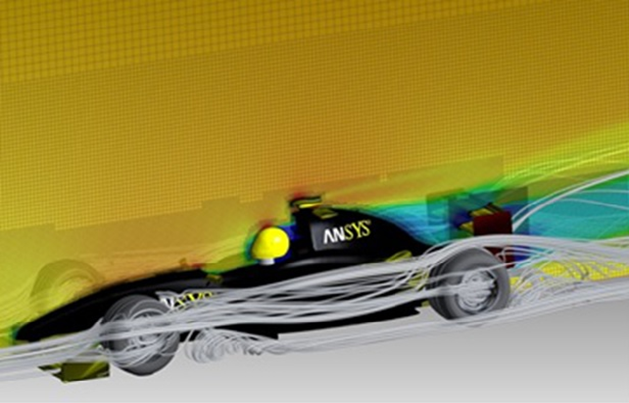 Today we are delighted to announce the addition of ANSYS computational fluid dynamics (CFD) solvers to this ecosystem. Independent software vendor (ISV) applications like ANSYS CFD are at the heart of CFD simulations. 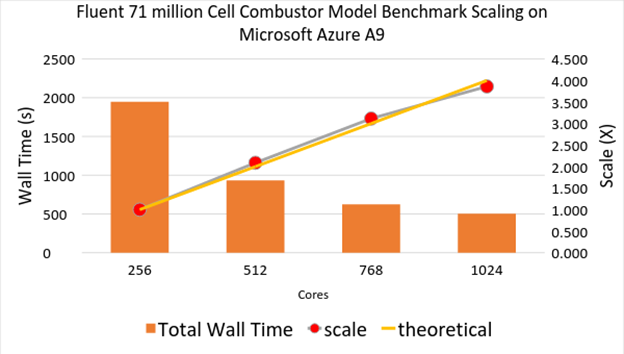 Microsoft Azure “Big Compute” can provide thousands of cores on demand to ANSYS customers to run their complex CFD simulation projects. These simulations will be backed by HPC infrastructure in Azure enabled by RDMA and InfiniBand technology available for both Linux and Windows. 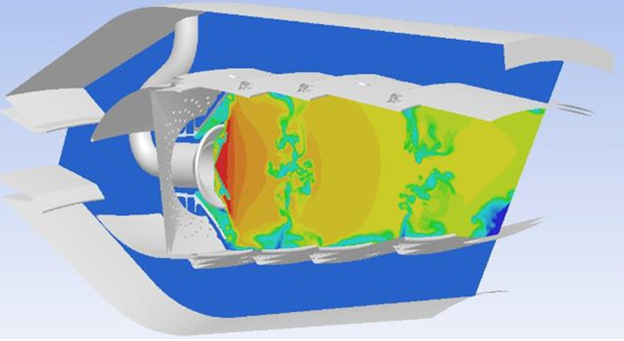 ANSYS CFD software enables engineers to perform multi-physics analysis, including fluid forces, thermal effects, structural integrity and electromagnetic radiation to assess and fully optimize their products. Over the past several months we have worked closely with the CFD Solver team at ANSYS to make sure ANSYS CFD code runs successfully on Azure Linux RDMA stack and scales up to thousands of cores. 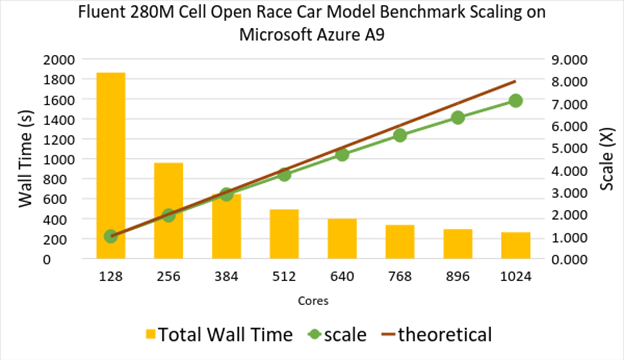 Azure can deliver a high level of scalability and performance with ANSYS CFD because of its dedicated high-speed low-latency network fabric that uses remote direct memory access (RDMA) and Infiniband technology. This technology is only available on A8 and A9 instances. RDMA computing provides very low latency close to three microseconds and 32 Gbps bandwidth. 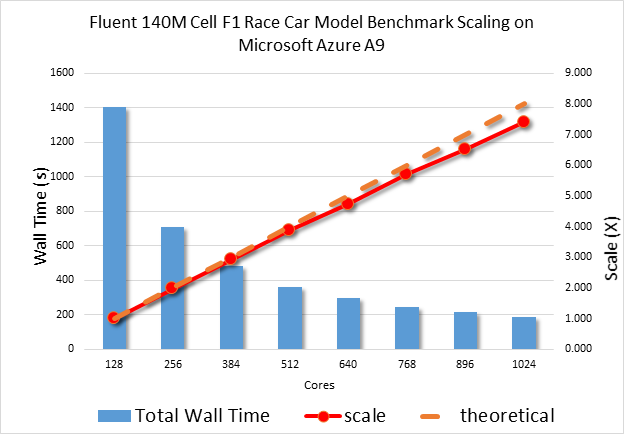 This results in great scaling performance running your large compute CFD jobs in the Azure cloud. We ran multiple simulation models from ANSYS CFD version 16.2 on CentOS 6.5 with Intel MPI on Azure A9 instances (Intel E5-2670 at 2.6 GHz, Memory 112GB, 1600MHz DDR3, QDR InfiniBand). The three models that we ran were Combustor (71 million cells), F1 Race Car (140 million cells) and Open Race Car (280 million cells) respectively. You can clearly see very good scaling numbers below for these simulations up to 1024 cores. One of the most common request from our customers moving their HPC workloads to the cloud is to get the ISV licensing model adapted to the Cloud. ANSYS has done tremendous arrangement of its licensing for the Cloud. The changes announced by ANSYS make their licensing model more cloud friendly. “This is part of the ANSYS Open Cloud Strategy to allow our customers to run on different public cloud backgrounds. ANSYS and Microsoft Azure team will have more announcements in the near future as they collaborate on various projects," said Milhelm. Please refer to the ANSYS website for more details. We encourage you to try Microsoft Azure by opening a free trial account. You can also visit our website for more details.